Mitt Romney said Friday that candidates who make vague statements about racism should be disqualified from running for public office. "We must insist that those we elect as our leaders respect and embrace Americans of every race, sexual orientation, gender, and national origin," he wrote in an essay posted to his Senate campaign website. "In this country, it must be electorally disqualifying to equivocate on racism." [post_ads]In his essay, Romney, who twice ran for president and is running for Senate in Utah, offered his opinion on race in American politics just two days before white nationalists are set to hold a "white civil rights rally" in Washington, DC. The rally is meant to be an encore to last year's "Unite the Right" protest in Charlottesville, Virginia, that erupted in violence and left one counter protester dead. In the wake of last year's deadly violence, President Donald Trump said that there were "very fine people" on both sides of the protests, a comment that was met with harsh criticism by both Democrats and Republicans. 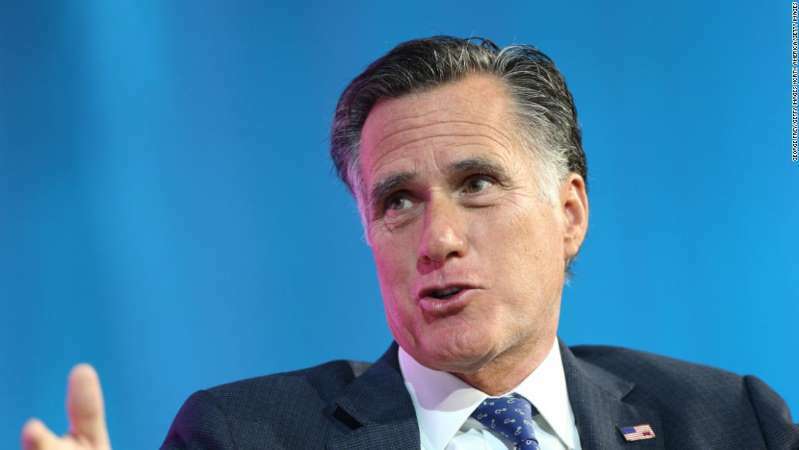 Romney, who harshly criticized Trump as a candidate but has since offered targeted praise of some of the President's policies, pointed out in his essay that he publicly opposed Trump's statement last year in a tweet that said, "No, not the same. One side is racist, bigoted, Nazi. The other opposes racism and bigotry. Morally different universes." On Saturday, Trump offered a less ambiguous statement on last year's protest, tweeting: "The riots in Charlottesville a year ago resulted in senseless death and division. We must come together as a nation. I condemn all types of racism and acts of violence. Peace to ALL Americans!"